Thinking about getting a massage? Wondering which one to get and why? Well, if you’re looking for the ultimate in hydration and relaxation with a custom glam spin, look no further. Glow Med Spa has a new massage on the menu that is certain to be your preferred massage treatment after one try. A 90 minute escape from whatever it is you need a break from, PLUS a bundle of health benefits, too! If offered “off the rack” or “couture,” ladies… always go couture! Rose essential oil is mild sedative (read as “relaxing”), antidepressant, mood enhancing agent. It is also very nourishing for skin especially dry, sensitive, or mature skin. Rose petals contain the same benefits as the oil, and they are also full of Vitamin A,C, D, E, and some B vitamins…PLUS they have antioxidants! Lavender essential oil is relaxing, antiviral, antimicrobial, antibacterial, anti fungal, and over all very healing and nourishing for the skin. 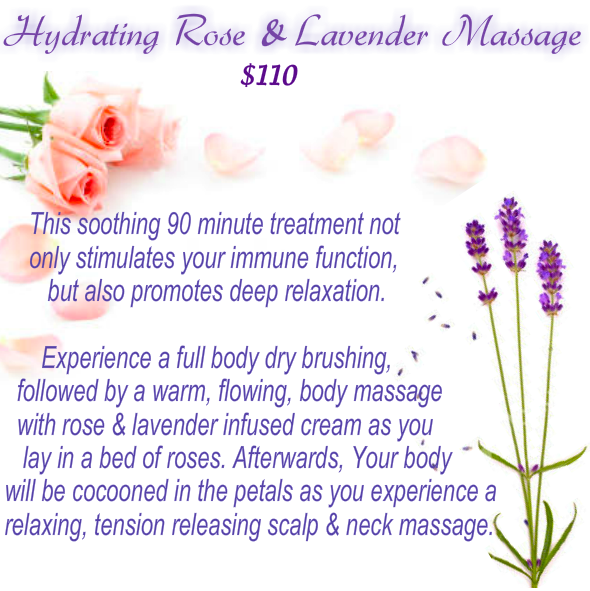 For the top of the line in massage treatments that provide deep relaxation and maximum health benefits – look no further. 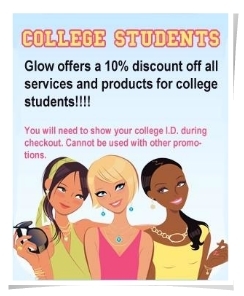 Call Glow Med Spa today at either our Northside or Short Pump location and book your 90 minutes of amazing!